Philip B. Edelen was born in Harrisburg, Pennsylvania on June 29, 1913, the oldest of five sons. While he was still young, his family moved to Ashe Avenue in Raleigh, North Carolina, where his father worked as a traveling salesmen. Edelen was born into a family active in the Catholic faith. The family were members of Sacred Heart Cathedral Parish where all five Edelen sons served as altar boys. His mother was the Catholic Woman of the Year, and his father was the head of the local Knights of Columbus. Many of his extended family, including cousins, participated in religious life. Edelen attended Cathedral School, graduated from Cathedral Latin High School, and entered Mount St. Mary Seminary in Emmetsburg, Pennsylvania. On May 2, 1940, he became the first member of Sacred Heart Cathedral Parish to be ordained a priest. Soon afterwards, he was sent to St. Anthony of Padua in Southern Pines and in the summer of 1942 was assigned to be the pastor at Blessed Sacrament in Burlington, North Carolina. 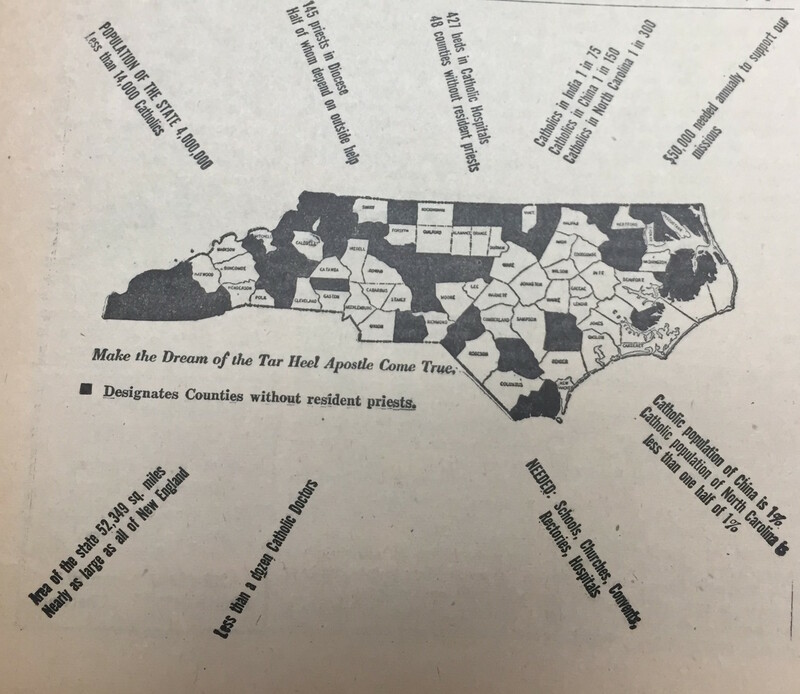 Four million people lived in North Carolina in the 1920s, about the same time Edelen was growing up. Fewer than 14,000 North Carolinians, less than one percent of the population, identified as Catholic. The Catholic community in Raleigh was a proud, close community, and the service of all five Edelen brothers and the volunteer work of their parents was a source of pride for Catholics both in Raleigh and throughout the state. Before World War II, North Carolina was mainly an agricultural state for tobacco and cotton. Textile mills from New England migrated to the small towns of North Carolina in the early 1900s and formed another significant part of the economy. Scattered with small agricultural and mill towns, it was a poor state and still suffered from the Great Depression. Military tradition going back to the Civil War played an important role in the state and many people in North Carolina served in World War I. With a mild climate and undeveloped land, North Carolina became the perfect location for military bases. The geographical features of the state led to the development of many different bases for the U.S. Marine Corps, Navy, Army, and Air Corps. However, North Carolina still experienced segregation and the Jim Crow laws were enforced. Even the military facilities were segregated, such as the Marine Corps “colored” boot camp at Montford Point near Camp Lejeune. During World War II, all five Edelen brothers joined the military. Father Edelen joined the Army as a chaplain. His mother opened their home to help in whatever ways they could, and his father was a Director of the Raleigh National Catholic Community Service USO Club. Edelen was sent to the U.S. Army Chaplain School at Harvard and officially entered the Army Chaplain Corps on February 17, 1943. He was assigned as chaplain to the 2nd Infantry Division, 9th Infantry Regiment at Camp McCoy, Wisconsin, where he served his men as a counselor, visiting those in the hospital or in the guard house. He performed marriages and baptisms, offered Mass, and carried out his other religious duties. ...trouble…[g]etting to my units. We are not authorized transportation…I have to have it to get to the units to say Mass Sundays and Holy Days at least…I have been able to get to them for Mass, by getting transportation by hook or crook. But I've been criticized very much for this and I fear that I'll be stopped in the future. I never take 'No' for an answer and usually get by with it. The other Chaplains marvel at my rashness, but it brings results, which they don't get…I feel that I'm in this War for one thing to take care of the Catholic men and anything that stops that I might as well quit now. I am not looking after PBE [Philip Barton Edelen], he doesn't count. The 2nd Infantry Division came ashore at Omaha Beach near Saint-Laurent-sur-Mer on D+1, June 7, 1944. Its planned assembly areas were congested and still subject to enemy sniper and artillery fire. Although not originally scheduled to do so, the 38th and 9th Infantry Regiments were immediately brought into action, even though they had not yet received their machine guns, mortars, communications gear, and vehicles. Swiftly moving inland, the regiments were directed to relieve 1st Infantry Division units north of the town of Trévières and attack south. On June 9, 1944, the 9th Infantry Regiment took the left flank and moved to cut the Trévières – Rubercy road. After crossing the Aure River, the regiment established its command post in a large farmhouse in Teurteville, previously occupied by Germans. At approximately 9:30 p.m. on June 9, 1944, Captain Edelen was badly wounded in an artillery attack in the vicinity of the regimental command post. The explosion severed his left leg just below the knee and the concussion from the blast caused a cerebral hemorrhage. Captain Edelen died of his wounds at approximately 3:00 a.m. on June 10, 1944. Chaplain Captain Philip B. Edelen, U.S. Army, was born into a family of great faith and deep sense of service and sacrifice. 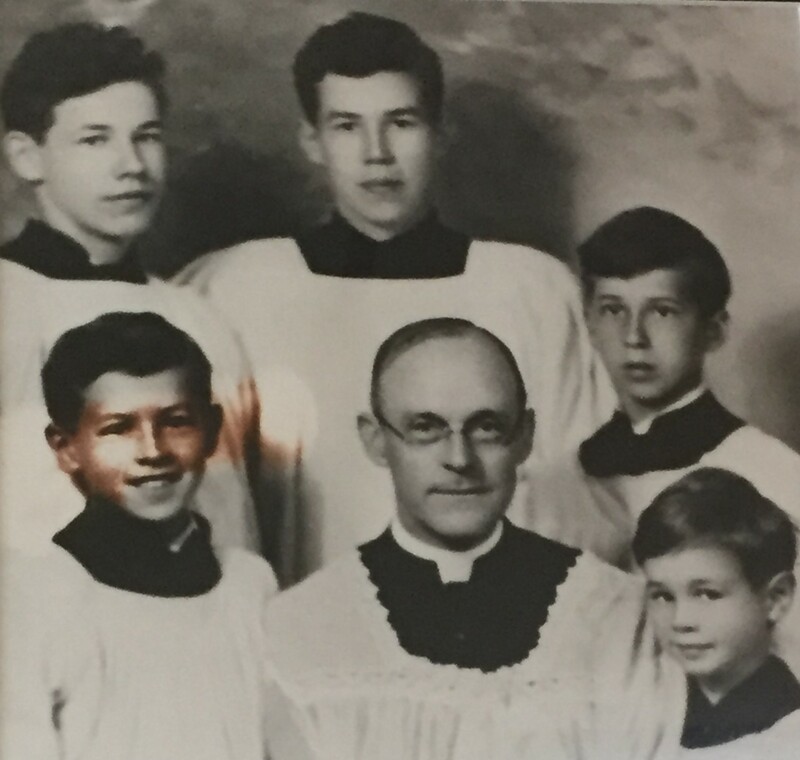 All five Edelen brothers served their church as altar boys and all five entered military service in World War II. By war’s end, Captain Edelen would be joined in death by his youngest brother, Neale, who died in a training accident in 1945. Captain Edelen was dedicated to the spiritual and emotional well-being of the men of his regiment. He spent many extra hours and was almost always available to counsel soldiers and help them with the difficulties of military life, even traveling from Wisconsin to Detroit to speak up for a young soldier who had been arrested. He instructed soldiers in the Catholic faith and helped them prepare for marriage, marrying many of them on the post or in the village churches of Northern Ireland. When deployed overseas, Captain Edelen continued to provide assistance and encouragement to Catholics back in the United States. He carried on correspondence with students at Villanova University and assisted Capuchin Monks with students taking correspondence courses through their monastery. With this sense of dedication, Captain Edelen went ashore at Omaha Beach on June 7, 1944. 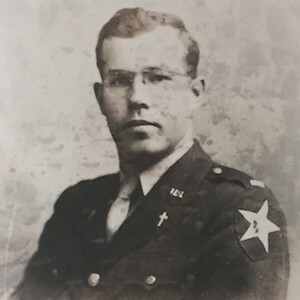 In the early morning hours of June 10, 1944, a Catholic chaplain from a neighboring regiment heard reports that a chaplain had been injured and arrived at 9th Infantry Regimental Command Post to find Captain Edelen’s body. The priest later wrote to Church officials describing the circumstances surrounding Captain Edelen’s death and praised his courage, priestly zeal, and concern for his men. 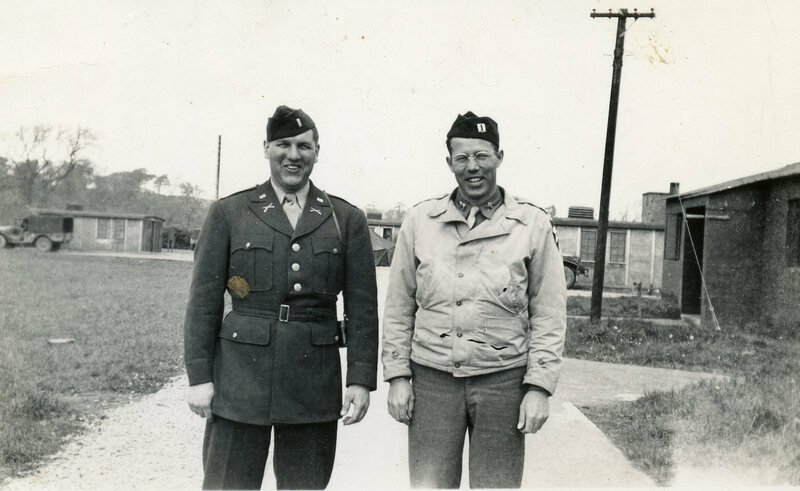 He had served with Chaplain Edelen at Camp McCoy and told the Edelen family in later correspondence that Chaplain Edelen was only person he trusted enough to lend his Chevy. His body was buried by a fellow priest in a temporary grave which was tended in later years by the Contesse d’Ursely from a nearby French town. The Edelen family was notified of his death on July 23, 1944 and a funeral Mass was held for him in the Cathedral of the Diocese of Raleigh. Over 600 people attended, trying to fit into a church designed to hold just 300. 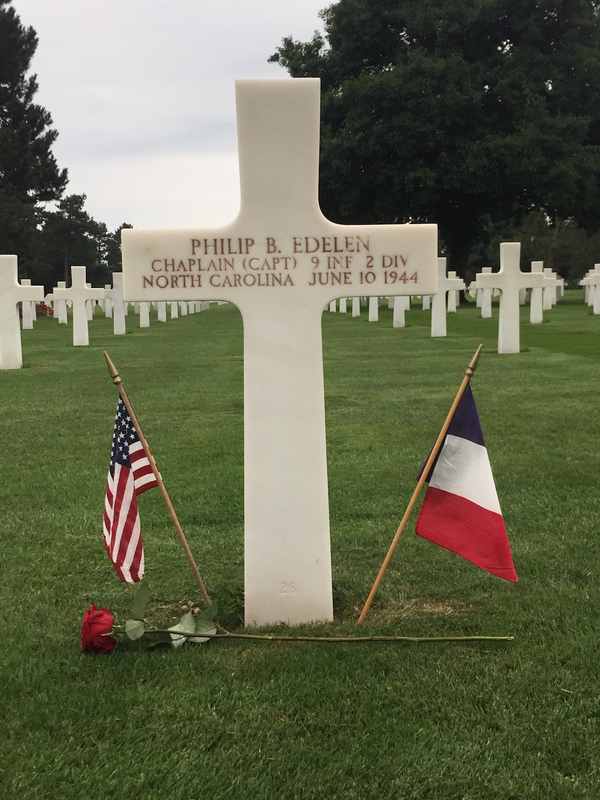 As quoted from a eulogy at his funeral, “Father Edelen….did not hesitate to take up his cross - his heavily laden army pack - and find Christ on the bloody beaches of Normandy… Father Edelen lived dangerously and died painfully so that we in America might live tranquilly and die peacefully.” Captain Philip B. Edelen, Chaplain of the 2nd Infantry Division 9th Infantry Regiment, was both priest and soldier. He served his men, prayed with them, followed them into battle, and ultimately died and is buried with them. This opportunity to commemorate a Silent Hero from my home state of North Carolina was life changing by giving me insight into a life well lived, death, and what “sacrifice” really means. Throughout this project, I worked closely with my Silent Hero’s family to get personal information on who he was as a person. Because of this, I connected with my Silent Hero and truly envisioned him as someone I would like. While I was saying that eulogy for this man I had never met, I felt as if I had known him my whole life. Captain Edelen was just an ordinary man who understood his duty to God and his fellow man, and carried it out in the face of danger. The place that stood out the most to me was the Normandy American Cemetery. The vast number of bright white stones lined up brought tears to my eyes. It was so beautiful and everything in the cemetery was perfect. The first moment I looked out into the sea of white, spreading for what seemed like miles, I was filled with a sense of calm. That was the moment when, behind me, the American National Anthem started to play. One voice started to sing and faintly, everyone joined in. It was at that point that I truly understood everything, why so many people fought and sacrificed, for our country and for the liberation of others. This project has opened my eyes to realizing there is a man behind every name on the headstone and that every loss in the war is not just a number, but is a person with their own individual story. I believe that I came back a different person than the one who left. I am a little wiser, stronger, and understand that our actions, how we react to events in our lives, helps to give our lives meaning. Nothing is done in vain, and through one person's death a war could be won. Sacrifice means to give yourself up selflessly for some greater good that is more important than yourself, and that will help those to come in the future. However, this sacrifice takes a toll on everyone: families, nations, and the world. I have been inspired and empowered by the sacrifices of Chaplain Captain Philip B. Edelen, my Silent Hero, and I will share his story with the world.